Today is Bake-a-palooza for my sister, neice, mom, and I. We are attacking an enormous list of holiday goodies to blast them out of my tiny apartment kitchen in one day, So, it got me in the holiday mood, so I thought I'd write a post over my morning coffee. I'm not a glitzy person, but there is something beautiful about black and gold. 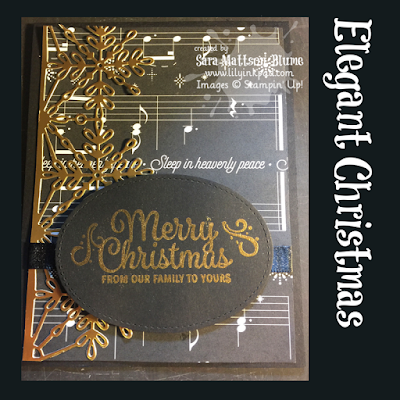 I used the Merry Music Speciality Designer Series Paper for the background on a Basic Black base. 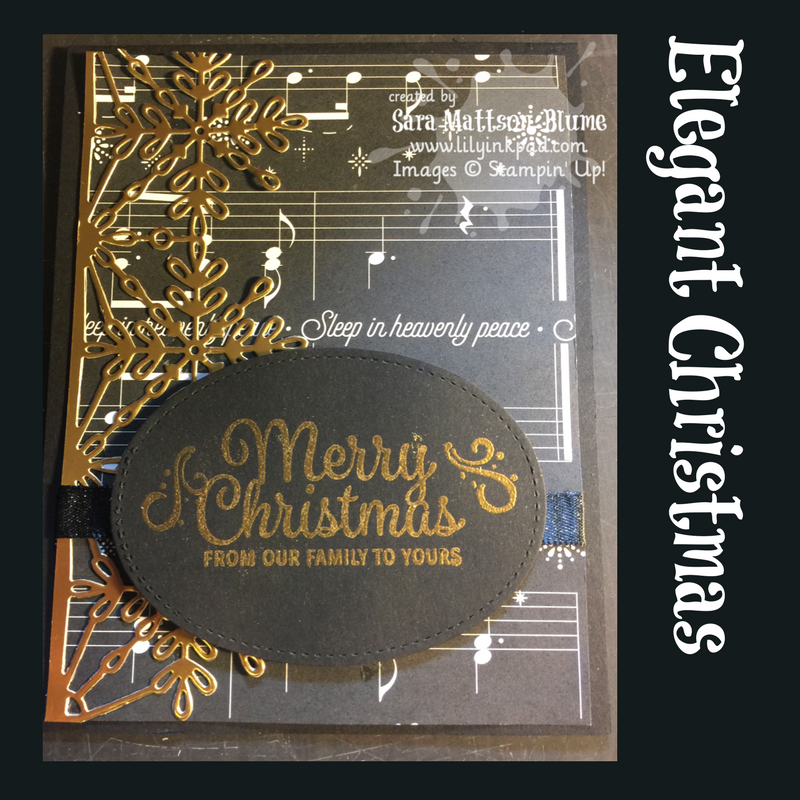 I stamped the Sentiment on Basic Black and embossed in Gold. I used the Stitched Oval Framelit on mine, so I had room to add some flair with the whisps. The snowflakes are from the Swirly Snowflakes Thinlits and are cut from the Gold Foil Paper. My ribbon accent is the Basic Black Shimmer Ribbon. Inside, I used the Gold Embossing Powder for a sentiment and some snowflakes from the Snowflake Sentiments Stamp Set. I gave mine away before I got a picture of it, sorry!